Appfigures is a feature-full platform that let's you track your app's performance across app stores easily. We work hard so you don't have to, and try to make everything as easy an intuitive as possible. We put together this quick guide to get you started right. Once you're all set up and have data you'll get to enjoy powerful reports and a variety of conveniences that will empower you to make better, data-driven decisions, quickly. Everything started with an app, so the most important step is connecting your app store, ad network, and usage analytics accounts. We support a wide variety of stores and networks, including all of the major ones. View all integrations · Learn more about connecting accounts →. Appfigures for iPhone puts the information you care about front-and-center. A clean dashboard presents the most important numbers at a glance, while individual reports are intelligently designed to let you drill-down and filter data as you go. Email reports include a summary of your most important metrics, packed into a daily (or weekly) email that lands in your inbox as soon as data is available. By default, we set you up with a daily email report as well as a weekly email report for all of your apps. Email reports are pretty flexible though, and can be configured to include only some apps, or be sent to other recipients. Learn more about email reports →. 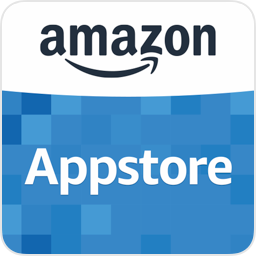 Under the hood Appfigures has a powerful app store reviews engine that syncs with all major stores and offers a variety of real-time filters. It also sends emails! Learn more about review alerts →. Learn more about sub user access →. Now that you have some data in your account go ahead and explore the reports. If at any point you get stuck, curious, or have an idea or suggestion please contact us.